Matthew Sweet appears Saturday, September 9 at the 7th Annual Haverford Music Festival in Havertown, Pa.
Back in the good old, bad old days of 90s grungy alternative rock, Matthew Sweet made -- pardon the pun -- a sweeter statement with his third album, “Girlfriend.” This sparkling pop power classic borrowed from gods of the genre (The Beatles, Raspberries, Big Star) without aping them. The album also expressed the angst and anxious emotionalism of the era, new love and “Divine Intervention” – one of “Girlfriend”’s signature tracks. With that, the Lincoln, Nebraska-born guitarist-singer-composer made a name, a noise and a reputation as one of America’s principle purveyors of brooding power pop. He returns to that sound – with a twist or two – on his newly-released album, “Tomorrow Forever.” Sweet’s tour touting that album brings him to the Haverford Music Festival this Saturday. Whether painting harmony-driven portraits of melancholy or cheer, power pop has remained Sweet’s principle palette when it comes to his words and his music. “The blacks and grays, the blocks of color are for me – emotions,” he said of his songs, past and present, continuing that painter’s metaphor. Joking about being on the road now, Sweet said he’s having much more fun touring than when he was a brooding indie-pop 90s dude. “I honestly have a much more gleeful time playing now than I did in the early days,” said Sweet. Such honesty about his disorder leads to the discussion of the history of “You Knew Me.” This reflective, poignant and terrifying track features Sweet’s mother – also bipolar – as its principle character. “This was written several months after my mom died,” said Sweet. I was totally winging it, but it was great to have such a good response,' he said in a nod to his longtime devotees and how far they'll go for something Sweet." The first song written for “Tomorrow Forever” was “Off the Farm.” Sweet says it is about about “someone who left, returned, and had a hard time feeling accepted back into the fold; kind of a dark fantasy.” That backwards-looking “fever dream” is important as his new album was recorded after he and his wife moved from Los Angeles to Nebraska, Sweet’s birthplace. “The move wasn’t traumatic,” said Sweet. Another thing that connects Sweet to his past and the fan base that’s been with him since “Girlfriend” was starting a Kickstarter page to fund the “Tomorrow Forever” project. “I was totally winging it, but it was great to have such a good response,” he said in a nod to his longtime devotees and how far they'll go for something Sweet. 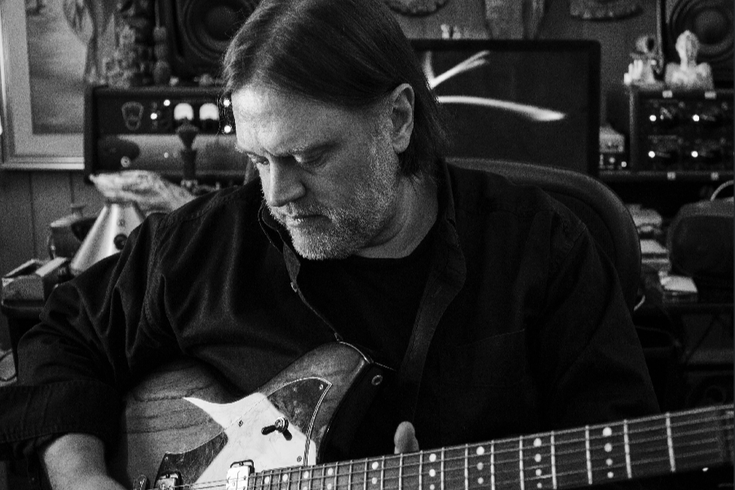 Matthew Sweet, The Weeklings, Glen Burtnik and more appear Saturday, September 9 at the 7th Annual Haverford Music Festival on four stages at Darby & Eagle Roads in Havertown, Pa. Tickets are free. Show time is noon to 9:30 p.m. Click here for more information.